I used to be a huge HostGator fanboy and had used them for 7 years starting in 2009. Despite being a huge company, they offered fantastic packages at extremely competitive prices. I had their top dedicated server (as well as one of the small virtual servers) the entire time, and was very happy with it. But the reason I fell in love with HostGator was due to their customer support. 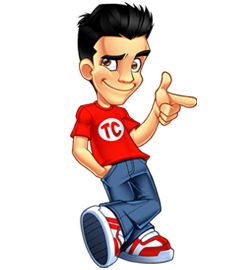 It was simply the best customer support I had ever dealt with at the time (tied with GoDaddy) – I would have an issue and could pop onto an online customer support chat and have my issue fixed within minutes, and the customer support was very friendly too. They were good for years, until one they weren’t. The problem happened after HostGator was sold to EIG for a quarter billion dollars back in 2012. They made major changes, because I could see it in the customer service immediately. Wait times would increase significantly, tickets would go unanswered, and the quality was poor too. I shrugged it off until I could eventually ignore it no longer – one day, and I forget what happened exactly, but they made some software upgrades to my server (without my permission) which caused a lot of my websites to break down since the MySQL database couldn’t talk to some of the websites properly. They refused to fix the problem. After a lot of searching and research, I ended up moving to BeyondHosting. in February 2016. Now if they sound familiar, it’s because when BeyondHosting was younger, it was very affiliate friendly. In fact, it was the only server company that actually catered directly to affiliate marketers. They offered direct support for affiliate tracking software such as Prosper202 and CPVLab, even going so far as providing free optimization services for that software. Word quickly spread around the affiliate marketing community on how good they were for affiliates. While I believe they still offer such services (you’ll need to contact them to ask), they’ve since grown quite a bit and don’t market themselves in this manner anymore. 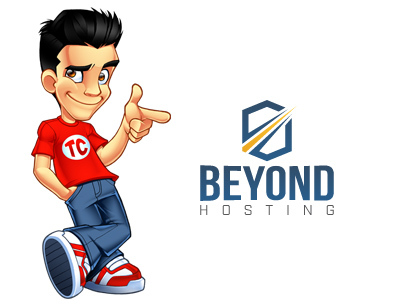 BeyondHosting offers managed servers, which you can customize to your particular needs. You can also customize the level or amount of management required, which is nice to be able to choose. Prices will range from $32 for a 1 core, 1GB ram, 20GB SSD, basic serviced package, up to $1,632 for a 24-core, 96GB Ram, 1TB SSD, complete managed server. Those are the outliers though: a 2 core, 4GB ram, 60 SSD server with essential support is $138 a month. They of course also offer enterprise solutions, domain names, SSL certificates, hosted backups, etc. For me, customer support is the most important thing when it comes to a web hosting company, as my system administration skills are very basic and limited. However, I’ve noticed their customer support slowly diminishing over time. In fact, I became quite angry about 4-5 months ago when Votesy had gone down due to a hacker who had wiped the database clean. I had backups in place, but they refused to help me apart from some basic assistance since they didn’t support MongoDB. I can understand this – as they did actually warn me about this when I had MongoDB set up on the server, but at the same time, the MEAN stack is far from an obscure one, and a hosting company should be able to support such a common database platform. At least to restore a backup and make it secure. It was also their fault for not having made it secure in the first place. That being said, they have always been prompt in answering my support tickets, and never let any go unanswered (like so many other companies often do!). If you have a complicated problem, you should straight up ask for a level 2 or 3 tech to avoid wasting time having a level 1 tech try to fix it. In addition, their chat support is often not too useful unless you have a basic problem, as they are run by level 1 techs who will simply and usually just have you open up a support ticket anyway. That incident mentioned above has been my biggest gripe with them so far. Otherwise, I have been pretty happy with their customer support. I have never experienced any downtime since switching to BeyondHosting. They also accept PayPal, which is a little nice perk since many hosting companies don’t, and it’s a nice way to empty your PayPal account without having to withdraw it to your bank account. All in all, I have been pretty happy with them. They don’t even care about security and they don’t offer 2F authentication sign on. I noticed that too! Customer service in web hosting is the #1 thing I look for. It’s gotten so so so bad at HostGator. They absolutely need to bring back customer support tickets and wait times on phone can’t be 1/2 hour – 1 hour. It’s totally unacceptable. I noticed customer service getting worse at multiple hosting companies, may be same parent company? First of all. what a wasted opportunity with this come back. You had a lot of peoples attention with your announcement that you were coming back to blog. People were excited to hear what happened with you. Then you made a terrible mistake. You didn’t have any content ready and made everyone wait until you wrote 30 posts. And now that everyone waited to read these “high quality posts” about your return. You hit us with paid promotions and affiliate review posts. If this is all you have to offer, then I can see why you failed at making money online. Looks like you learned nothing while you were away. Tyler’s never understood the basic premise of making money (online or off): provide people with something that they value, and ask them to pay for it. His tone-deafness around what people actually value has led him down all sorts of strange and avoidable dead-ends. Luckily, for most of the first decade of this millennium, the internet was a pretty forgiving place to try to scrape together a living. Tyler: people like reading about your life, about the ups and downs of your “career”. People like when you’re honest about what you’re working on, and how you’re thinking about it. If a post feels like filler, people notice. It’s become clear that there are about 6 good, meaty posts in the 30. The rest are either filler (microphone setup??) or foolhardy attempts to capitalise on the little bit of attention you’ve got for returning. You’ll make about $4, and lose the good-will of your remaining readers. You’re definitely spot on regarding losing the good-will of the readers– as an avid reader myself, after seeing some of these lower quality posts (“check out my new chair wheels,” “this is what microphone I bought,” etc) coupled with the paid posts and affiliate link-riddled posts, I’m definitely less keen to come back and check out the blog now more than ever. Tyler: Posts about how your business ventures are going, how development is going, what’s coming up next, and any sort of progress on those fronts is what keeps me coming back. Even posts about things like your foray into dog-sitting was great… I’m keen to read more about what you did to try and make the money and pay the bills during the time you’ve been gone from the blog– I’m not keen to read three posts about a microphone, filter, and a microphone stand. I’d much prefer to wait a week or two between posts and actually look forward to them rather than three days and just leave when I see the some of these low quality posts that you’ve been subjecting us to. Hopefully you can take some of the feedback from your readers on board, because it’s a shame to see the direction this blog is taking at this point. I have to agree with this… Would be good if you go through your upcoming posts and delete the crappy ones. I am enjoying the majority of your posts, and simply skipping the ones I am not interested. Simple! Keep writing what you like writing about and ignore the critics. I had two VPS servers with HostGator, and also recently switched to a different company (Liquidweb). About a year ago Hostgator changed their support system in such a way, that customers were not allowed to open tickets directly! One had to spend an hour with someone on chat, before the ticket would get created. If you lost connection or had to go, too bad, you would have to start all over. I was with LiquidWeb as well (for another server) for 2-3 years. They were okay, but I found them a bit cost prohibitive and their support a little slow.